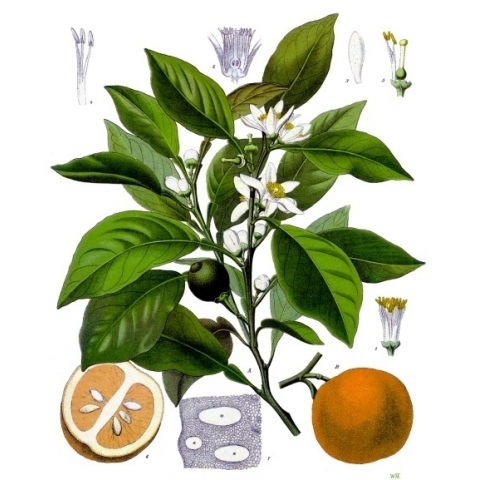 Neroli oil is a plant oil produced from the blossom of the bitter orange tree (Citrus aurantium subsp. amara or Bigaradia). Its scent is sweet, honeyed and somewhat metallic. It is one of the most widely used floral oils in perfumery. It is a nontoxic, nonirritant, nonsensitizing, nonphototoxic substance. 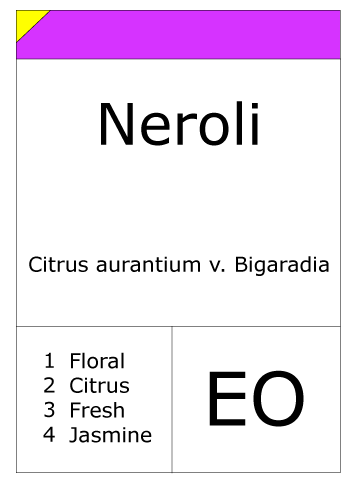 More than 12% of all modern quality perfumes use neroli as their principal ingredient. It blends well with any citrus oil, various floral absolutes, and most of the synthetic components available on the market. 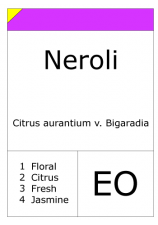 Neroli oil is a classic element in fragrance design and one of the most commonly used in the industry.